Farmers in a very real sense are the original environmentalists. NDA members in particular have a deep and abiding stake in enriching the land on which they operate and conserving the resources they consume. NDA dairy farmers are personally committed to treating the land where they are raising their families and building their multi-generation legacy with the highest respect. Given that commitment, NDA farmers are engaging in a wide range of practices to enhance the land, conserve resources, and mitigate environmental impacts. They continue to embrace an innovative spirit married to respect for cows and land as the basis for building an ever-more sustainable dairy food system we can all trust. Social and environmental responsibility has been NDA farmers’ heritage and today it is the lifeblood for the legacy they continue to pursue for their children and grandchildren. Perhaps most importantly, farmers are managing impacts on water and land from animal waste. Animal waste is in fact a nutrient within the environmental cycles. Every NDA farm in Washington, Oregon and Idaho has a formal “Nutrient Management Plan.” In line with the regulatory review schedule, NDA farmers (outside Montana) have participated in inspections and responded to all legal requirements within a framework of continuous improvement. For NDA producer-owners, though, this commitment to nutrient management is more than a matter of compliance and regulatory obligations. For them, nutrient management is an essential commitment to doing the right thing – to contributing wisely to natural environmental cycles that assure a sustainable future for us all. Since the 1940s, US dairy farmers have reduced the cropland needed to feed their herds by 90%. Thanks to innovations in feed and increases in productivity, dairy cows today produce 76% less manure per gallon of milk than they did in 1944, and have 63% lower carbon emissions. Since 1957, US dairy farmers have improved milk production by 200 pounds per cow per year – every single year, added on to each prior year. Improved water conservation and innovative reuse of water has led to our nation’s dairy farmers’ operations consuming 65% less water per gallon of milk than their grandparents’ did. NDA farmers are actively pursuing a range of strategies and practices, including better agronomic application of nutrients, the containment of all nutrients, using pump-back stations, planting cover crops in the winter to reduce soil erosion, preventing run-off and leeching, and regular soil testing. Beyond their top priority of nutrient management, energy consumption is also an important aspect of environmental stewardship and economic improvement for our producer-owners. Several NDA dairy farm members are actively switching over to LED and other energy-efficient lighting and installing highly efficient heat exchangers and variable speed drive pumps. Some are working hard to increase the percentage of milk solids in their cows’ milk, in order to reduce the energy consumption per pound of protein and simultaneously to require fewer trucks on the highways. Across the Northwest, several NDA dairy farmers are installing solar panels on their barn roofs. Efficiency has always been a farm tradition; now it is being married with innovation and urgency to help further strengthen NDA members’ environmental stewardship. In addition to the hard daily work of effective environmental and resource conservation and efficiency improvements, many NDA farmers are also pursuing a range of exciting environmental innovations, like water filtration systems and methane digesters (see “Spotlights”). Taken together, these activities demonstrate the enduring commitment NDA farmers have to ensuring responsible environmental stewardship. 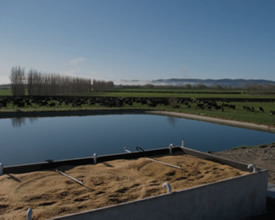 Water conservation and improving water quality is also a key focus for NDA dairy farmers. On many NDA farms, water is re-used up to 7 times, being down-cycled in each use from sanitation purposes through flushing operations. Several of our producer-owners are working in partnerships with their local water improvement districts to upgrade ditches, wells, streams, and culverts to improve water quality. Others are pursuing innovative partnerships with local tribes, environmentalists, and area farmers to improve watersheds. As a result, geese are returning to over-winter on some NDA farms and salmon runs are being restored. 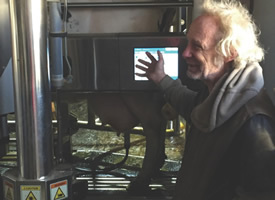 After operating his dairy in Lynden, Wash., for decades, Louis Bouma and his two brothers decided to go the “robotic route.” They installed two DeLaval robotic milking machines more than two years ago and today reap many benefits. Because of the robots, Louis’ 129-cow NDA dairy uses 35 percent less water and 35 percent less electricity. Less cleaning solution is required too, as the robots are more precise. 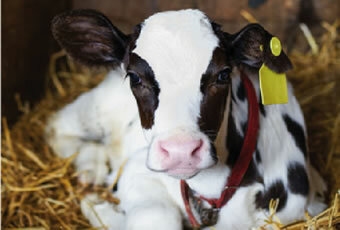 From an economic standpoint, the dairy produces 12 pounds more milk per day per cow, or about 10-15 percent more milk. The robots also help Louis from an animal care perspective. The robots tell these second-generation dairymen if a cow has any health issues or if for example only three of the four teats on a cow have been milked. It automatically senses where the cow’s teats are, and attaches to all four teats to milk. Sometimes the robot can’t properly attach to a teat due to shape or placement, so it doesn’t fully milk that cow. The robot sends such data (along with dozens more metrics) to Louis’ computer for his and his brothers’ analysis. The Boumas had been operating their dairy without employees, doing all the milking themselves. Now the robots allow them to have more time for other things. The robots are even connected to a cell phone app so when Louis and his brothers are away, they receive alerts if something isn’t operating at its best. 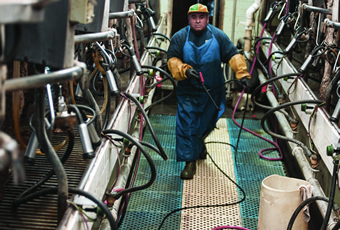 The robots milk 24/7, so milking can continue into the night without human help. Nighttime milking benefits some cows, as bully cows typically sleep at night, and other cows can then be milked under less stressful conditions. In general, the herd experiences less stress as the cows are free to saunter in for milking whenever they are ready. 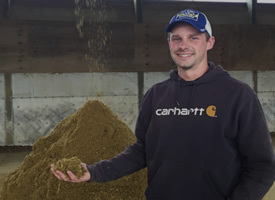 A fifth-generation dairy farmer and NDA member, Scott Smit composts and reuses manure as bedding. His operation – Cedar Park Dairy LLC in Lynden, Wash. – no longer buys sawdust for their 380 cows to sleep on. Instead Scott recycles the manure, which produces environmental and economic benefits. Scott adopted this method about one-and-a-half years ago. 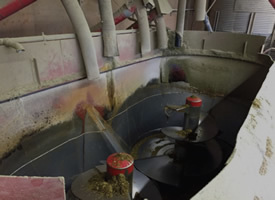 His dairy scrapes the manure (as many dairies do) and collects it through a pump. It then goes to a bedding recovery unit that separates the solids from the liquids and prepares it for composting. What isn’t used as bedding is applied to his fields as natural fertilizer as has been done for centuries for the grass and corn Scott grows as feed. At Coldstream Farm LLC in Deming, Wash., Jeff Rainey and his family use an electric feed mixer (shown here) instead of a diesel mixer. This allows Jeff to save a significant amount per year in energy usage and costs. Other NDA producers also have switched to electric feed mixers. Imagine almost magically turning water from a manure lagoon into usable irrigation water, nutrient-rich fertilizer and farm flush-water. The magic is supplied by earthworms (and aerobic bacteria). 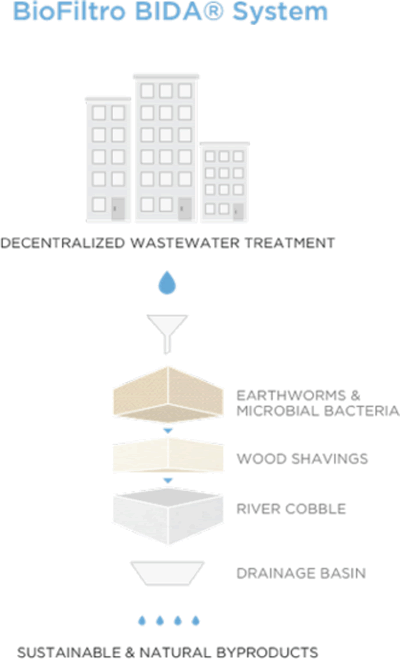 The environmental prestidigitation is being performed by BioFiltro, a chemical-free, passive wastewater filtration system that has been successfully applied in wineries, food processors, aquaculture, slaughterhouses, sanitation systems – and dairies. 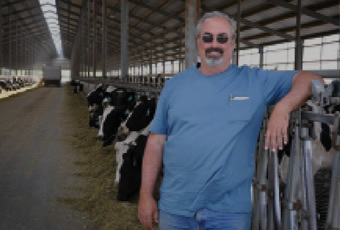 After learning about the impressive results achieved with BioFiltro, Austin Allred, NDA producer and owner of Royal Dairy near Royal City, Wash., stepped forward to pilot the system on his farm. The result is not only cleaner water that can be used for irrigation (it is not potable), but also an abundance of earthworms and earthworm castings, which are very valuable as organic fertilizer. Additionally, it uses up to 90% less energy than traditional wastewater treatments, with no chemicals, pollutants or odor. Royal Dairy’s pilot system, at 44’ x 50’ x 5’, was designed to filter up to 5,000 gallons of wastewater per day. Given the success of the pilot, which functioned precisely as projected, Royal Dairy is expanding their system to treat 200,000 gallons of wastewater per day. Russ Davis, CEO of Organix, which markets NDA dairy farm manure compost (even some from anaerobic digesters), is excited about BioFiltro. “Worm castings are very valuable. The castings earn about $275/yard, compared with about $50/yard for composted fibers from manure digesters. There is no comparison with a digester in terms of ease and functional value. A second NDA member, Jake DeRuyter, launched his pilot of the system in September 2016. Recognizing the importance of manure management for both farmers and their surrounding communities, Darigold is one of the founding members of Newtrient, an organization formed by dairy cooperatives to drive technological improvements and develop new products and markets for the dairy manure industry. Many farmers benefit by having a third party provide verified objective information and analyses about different technologies, rather than having to rely on vendors. “Newtrient focuses on helping the dairy industry shrink the environmental footprint of dairy farm operations in an economically viable way. Newtrient is developing a ‘consumer reports’ type analysis of manure management technologies – technologies that transform manure into value-added products. Among other approaches, this can come in the form of generating energy through methane digesters that capture methane to be used as renewable natural gas or that burn the methane in a generator to effectively transfer greenhouse-gas-negative energy back to the grid. 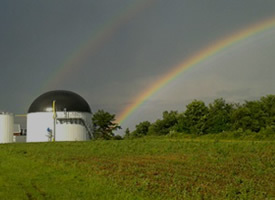 Other value-added products from digesters include fertilizers, soil amendments and plant-growing media. “Newtrient is also conducting cutting-edge research on new technologies that create additional valuable chemistries and products from manure.